With only 75 days to go before my trans-Icelandic run, I found myself in Boston this past weekend—revisiting routes that I’d walked, run, biked and driven hundreds of times over the years. I grew up less than a mile from the route of the Boston Marathon through the City of Newton—a stretch of about four miles offering a parallel one-way Carriage Road that provides fantastic and safe terrain for training along one of the most storied race courses in history. Few Boston area runners are not familiar with the second half of the marathon route: Washington Street to Comm. Ave; Comm. 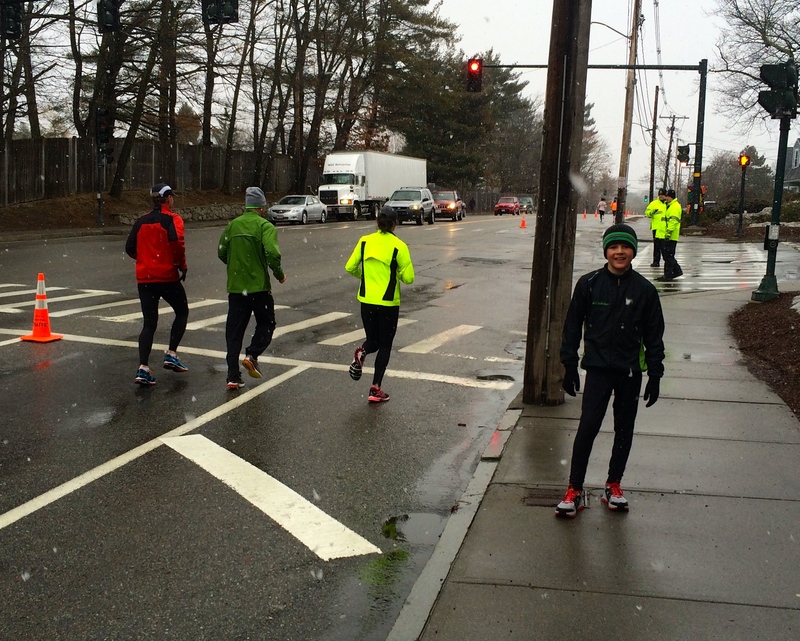 Ave to Beacon Street; right on Mass Ave; left on Boylston. And although I’ve never run the Boston Marathon, the race is without a doubt in my blood. Every Patriot’s Day, my family would walk over to watch the race—from the elites to the mid-pack runners—back in the day when there were just about 2,000 competitors and through the years of Bill Rodgers, Alberto Salazar, and Joan Benoit. Over the past few days, I’ve run the Newton hills several times—once during the BAA-sponsored long run from Hopkinton to the top of Heartbreak Hill, and then along the route through Kenmore Square to Mass Ave and then west along the Charles River, over the Harvard Footbridge through Harvard Yard and on to Porter Square. As much as I consider myself a solo-runner; a mountain, trail, and ultra runner who often looks for solitude atop mountains at sunrise or deep in the woods by headlamp, there is just something about sharing the Carriage Road with hundreds of other runners pushing themselves to meet their own goals—whether running for themselves, in memory of others, as inspiration, or to raise money for a particular charity. This weekend, we were all out there together—in Saturday’s snow flurries and in Sunday’s blustery sunshine. My son Orion accompanied me on the first mile and a half of Saturday’s run, and, though we didn’t know it, the BAA was sponsoring a practice long run along the first 21 miles of the course. As soon as he and I turned into the closed lane on Washington Street, past the police officers stopping traffic for us, someone on the sidewalk turned to us and cheered. “You’re doing great!” he said. Even though we’d only been running for a few minutes, we couldn’t help but smile and pick up our pace a little. 58 days left . . . & I need your help!